Looking for a Minnesota Electrician? 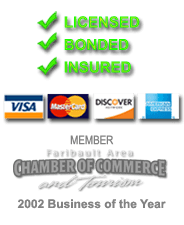 Cedar Lake Electric of Faribault, MN is your trusted source for professional Minnesota electricians. Since 1975, we've served the residents and businesses of the Twin Cities - Minneapolis - St. Paul, down the I-35 corridor throughout Southern Minnesota with fast, dependable electrical service. Cedar Lake Electric offers design/build services for residential new construction or home remodeling. Building A New Confinement Facility? "I invite you to let our design experts to help you with the electrical layout of your new home, commercial site, or electrical upgrades. Our electricians will help you meet or exceed all your expectations for your project." We appreciate the professionalism and knowledge that Cedar Lake Electric provides for our projects. Many projects in today's market require Design/Build Electrical Services and Cedar Lake Electric has shown us that they have the expertise to add value to our projects. Since Pepsi Bottling Group has been including Cedar Lake Electric as one of our vendors, they have quickly become one of our preferred vendors. Their professionalism and knowledge of their skill craft have helped multiple projects of ours become successful. Cedar Lake Electric is an electrical contractor located in Faribault, Minnesota that provides services throughout the entire Southern Metro for residential homeowners, agriculture, industrial and commercial clients. We specialize in design/build electrical work, new homes, industrial manufacturing, and green retrofit installations.